Mozzarelly great news here, cheese lovers. Yeah, that was lame, but “gouda news” is just too cheesy. Anyway, on to the news I havarti mentioned. For reggiano this time. I know you’re thinking, “this feta be good.” And trust me, this cheese news is the GOAT (greatest of all time, not chèvre). Okay, sorry. That was it. I’m done now. I promise this news won’t make you bleu. 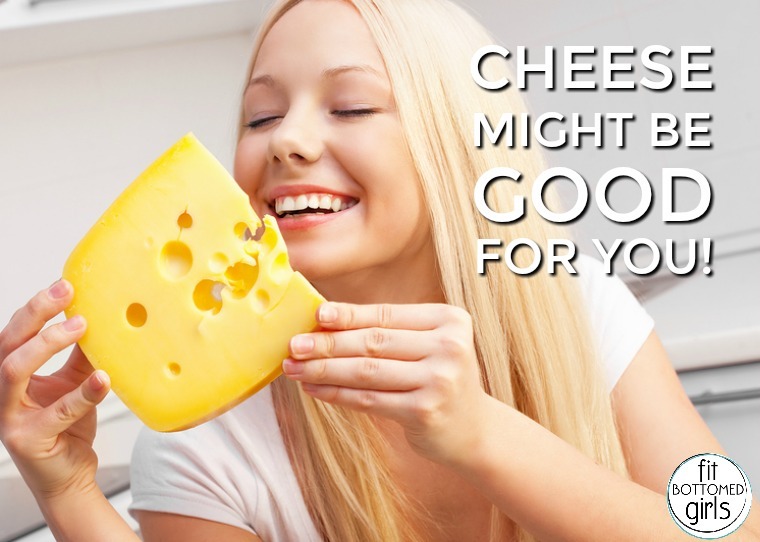 Cheese might actually be good for you. New research shows that eating cheese does not raise your cholesterol and might help you lose weight. Irish researchers recently published their study in the journal Nature. They studied 1,500 Irish adults’ four-day (super specific) food diaries. Essentially, the study showed that people who ate the most cheese (and therefore saturated fat) did not show significantly different cholesterol levels than those who ate little or no cheese. The cheese eaters actually had smaller waists and lower percentages of body fat, too. The researchers believe the unique mixture of nutrients in cheese, such as bioactive peptides, may counteract the increase in cholesterol that we may see from other saturated fats. The study says that cheese makes up 16.5 percent of saturated fat (SFA) consumption in the U.S, with milk and butter following at 8.5 percent and 5.8 percent respectively. That’s a lot of SFAs from dairy, but it could help keep BMI and waist circumference low. It also reduces risk of high blood pressure and type 2 diabetes, the research says. The only problem — and it’s only a problem because we didn’t have this muenster news any sooner — is that previous studies have categorized dairy products as high-fat and low-fat, but that puts cheese and butter together even though they have quite different effects on our health. More research is needed to fully identify those differences. Other findings include that “high” consumers of milk showed lower BMI and body fat and greater muscle mass. “High” yogurt consumers also showed lower body fat and smaller waistlines. Glad I took the tomme to read this! ?